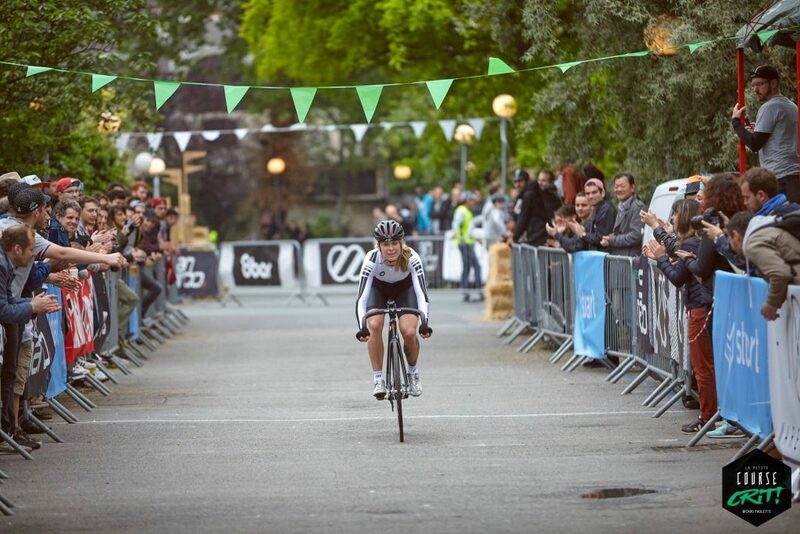 The weekend before last, I hopped on a train to Paris to go and race the inaugural edition of La Petite Course crit. It just so happened to be the same weekend that the London Nocturne was taking place and my husband was racing the track bike crit at this prestigious race in the capital. So why wasn’t I? Quite simply, there was no women’s track bike race. We could race with the guys if we wanted, but guess what? Barely anyone wanted to. What a surprise. If you happen to have been reading this blog for the past couple of years or so, you may know that I feel passionately about separate races for women. Women’s cycling is on the up and female participation in competitive cycling is growing, but it’s pretty dumb to expect women to be ok with racing against men. Bike racing isn’t like a marathon where it’s each person for themselves and what counts is the time you take to cross the line. 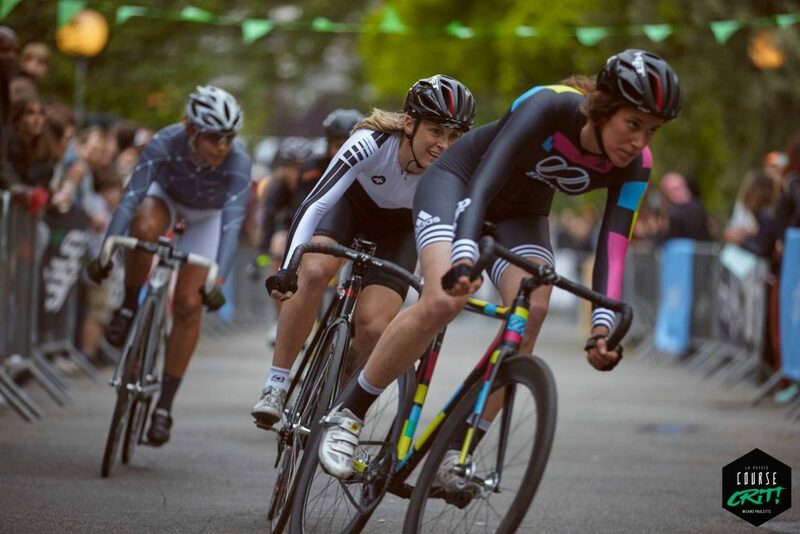 You can’t chuck the women in with the men and just work it all out at the end because bike racing involves riding with others, tactics and cooperation. Most importantly, bike racing requires confidence and steely nerves. Funnily enough I find I’m lacking both when I have to race amongst men who are far faster than I am. And I’m not naturally timid or scared of racing, so imagine how women who are very new to the sport may feel? 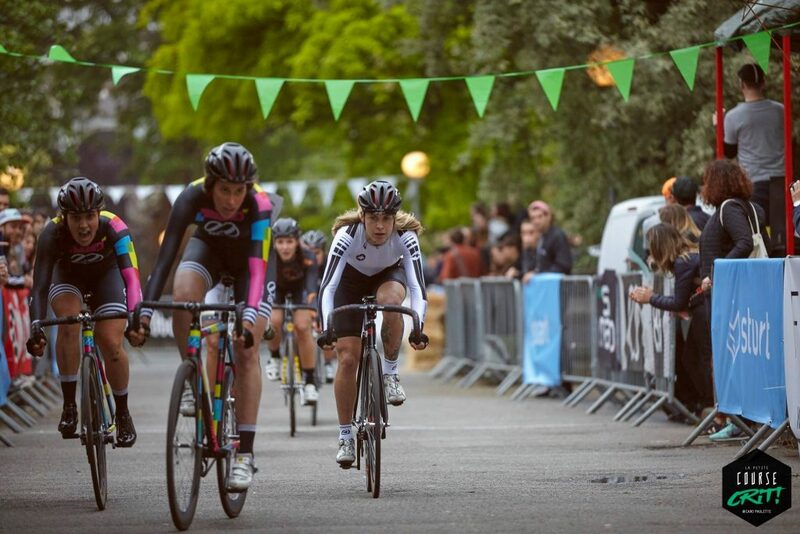 So, I went to Paris, where the organisers had taken note of the huge surge in female entrants in the Red Hook Crit, the Rad Race, Wolfpack Hustle, the Dutch Crit Cup and more and included a women’s race. I’d been contacted personally by them and invited to attend, sent maps on how to get there and given every encouragement and assistance. As women racers have had it tough for so bloody long, naturally there are still fewer of us than there are men so that kind of thing really helps with numbers. I applaud the organisers, in particular Caro Paulette for taking the time to do that and to help grow the female race scene. And it IS growing; every single race I go to there are new faces, in fact, it’s the women’s scene that is growing the fastest. Arriving in Paris rather late, I grabbed my number and had a look around the location, the old Hopital St Vincent De Paul. The course weaved its way around a complex of buildings now given over to social enterprises, artists studios, bars accommodation and such – the whole place had a really nice feel and was thronged with people enjoying the ambience, drinking wine and cheering on the athletes. The track itself was very short (600m) and had very sharp corners that were made even sharper by the fact the course was super narrow. I had to go pretty slow in my qualifications as I hadn’t seen the whole course and didn’t know what to expect. There were also a few puddles and holes in the tarmac to keep you on your toes! In the main race, I got a really good start but was quickly overtaken by Sami Moreno, who I simply couldn’t get round for many laps. Suffice to say, I’ve learnt my lesson from that and will not be so polite in future! If you’d like to see how the rest of the race unfolded, follow my day racing in Paris and find out where I placed, check out my video and subscribe to my YouTube channel for more. Great write up, great photos, great video. Thanks for that, Juliet, I felt like I was there. Shame you couldn’t get your bike camera working for the race. I also took issue with the Nocturne not having a women’s race. I guess that they view it as a bit of a novelty race; like the Borris bike race, the penny farthing race and the Brompton races. But as we know, it’s not because of the speed. And if there’s not a separate women’s race, it’s just a men’s race that women are allowed to tag along in. I flagged it up with the organisers but they just ignored me. Maybe next year I’ll be able to race La Petite Course. Yes, it was rather short sighted of them and I totally agree about it being a men’s race that women can tag along in. Mixed races do not work at all. I wonder if they’ll add a women’s race next year? Either way, I think they need to promote the fixed crit better as very few international riders knew about it.